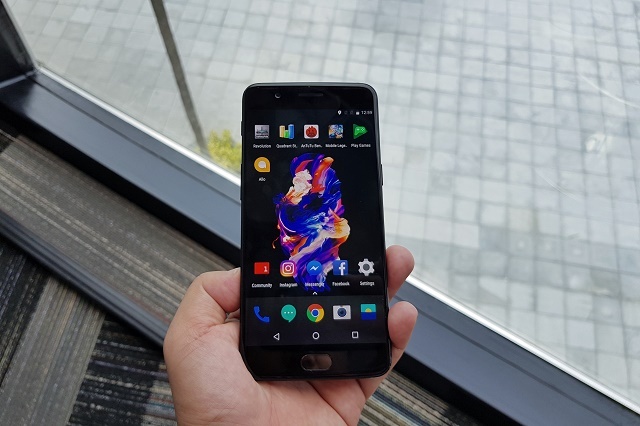 Here's our OnePlus 5 Unboxing, First Impressions and Antutu Benchmark results. 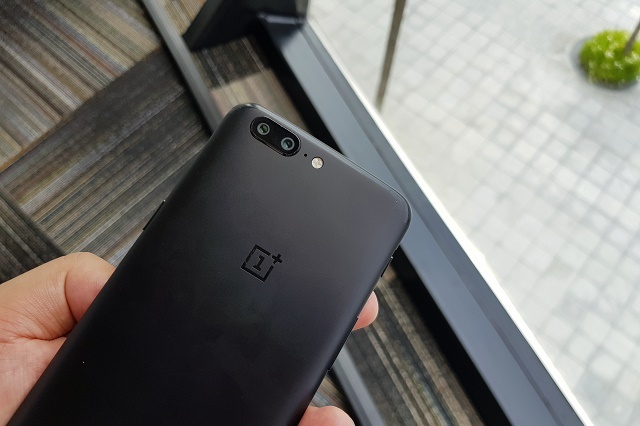 OnePlus is the brand that poses as the flagship killer. 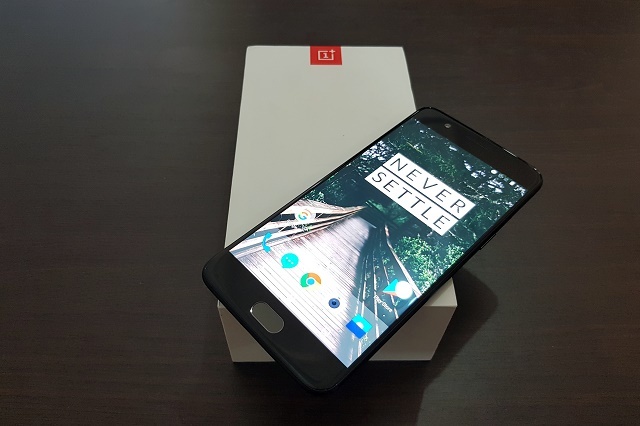 In many ways, it has proven to live up by this name; and with the release of its latest offering, the OnePlus 5, it seems like we are yet to have another treat. Are you toying for a purchase of this device? Our first look of the smartphone may get you excited. Join us, as wecheck what's inside the box and run initial tests to the OnePlus 5. 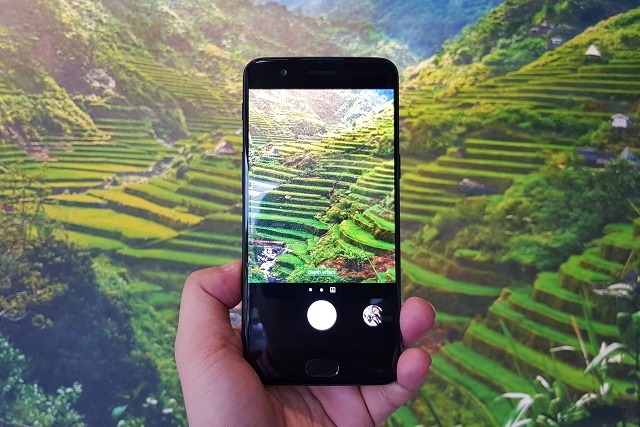 The OnePlus 5 is stunning. It comes with a unibody design with a very minimalist appeal. The curved back offers the much needed ergonomics; this makes the handset settle nicely on the hands. Likewise, subtle antenna bands have been realigned in both top and bottom part of the back panel. The midnight black version of the smartphone makes these antennas more discreet compared to the gray-toned counterpart. Upfront, there's a 5.5-inch FULL HD Optic AMOLED panel with the front-mounted fingerprint sensor and capacitive keys. You can also set the Menu, Home and Back buttons to be on the screen. The 16MP selfie shooter is also in it's usual placement. All keys and ports are also in their proper places. The power button is on the right side with the ejectable SIM tray, the second-generation USB Type C port is at the bottom alongside the speaker grill and 3.5-mm headphone jack. The left side is a home for the volume rocker and the three-position toggle which allows you to shift from Silent, Do Not Disturb and Ring mode. The back panel has the dual-lens camera module. It's comprised of a 20MP telephoto lens and a 16MP Sony IMX350 wide angle camera with a wide f/1.7 aperture. 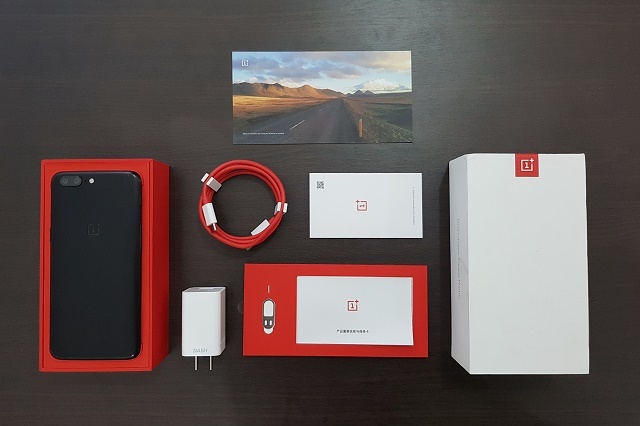 Both the USB Type C and the Power Adapter comes with Dash Charge Technology which essentially keep the phone charging faster than the normal chargers. However, you need to use the same set that comes out of the box to enjoy the feature. There's no question about how fast the new Snapdragon 835 mobile platform is. So far all the input touches and app pulling activities were taken with ease. I have not experienced any lags while doing initial gaming test and multimedia sessions. The processor, the Adreno 540 GPU and the beefy 8GB of RAM have been reliable so far. 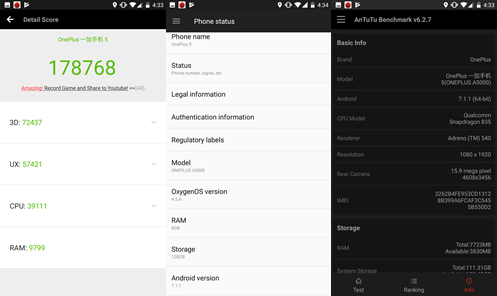 In fact, it has a whopping score of 178,768 score in our Antutu Benchmark Test with 39111 CPU score, 72437 3D score and 57421 UX score. In terms of design, the handset may not be at par with the current flagships. 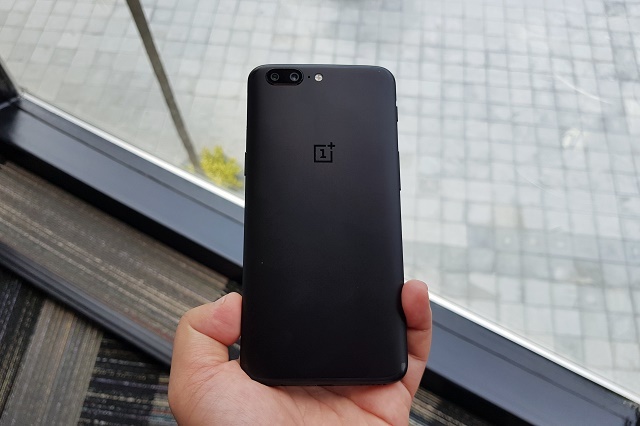 However, I could say that OnePlus still did a great job in keeping a refreshed phone design and easy to use. We'll give you more insights in our review of the handset. In the meantime you can check the handset over Widget City.